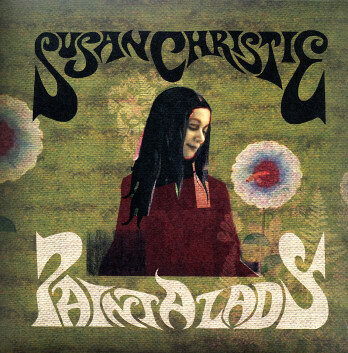 The first-ever release of some incredible funky folk tunes from vocalist Susan Christie – originally recorded as demos in the years before her work at Columbia Records, and arguably even better than those classic singles! Backings here are by John Hill, who inflects Susan's folksy style with a heavier undercurrent – one that's subtly funky at the best moments, and which also pushes fuller strings and more baroque instrumentation into the mix – all in a way that almost sounds like David Axlerod might, had he started making folk records! Titles include the amazing 9 minute "Yesterday, Where's My Mind" – a funky mini-suite that's worth the price of the record alone – plus "Paint A Lady", "Rainy Day", "Ghost Riders In The Sky", "Echo In Your Mind", "When Love Comes", and "For The Love Of A Soldier". © 1996-2019, Dusty Groove, Inc.